Our selection of industrial PC enclosures includes a durable steel case that provides protection in industrial environments to all of the hardware components. The steel case is quickly opened for painless access to all computer workstation components for easy maintenance. 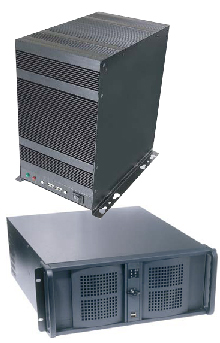 Industrial PC Enclosures are applied in industrial environments.